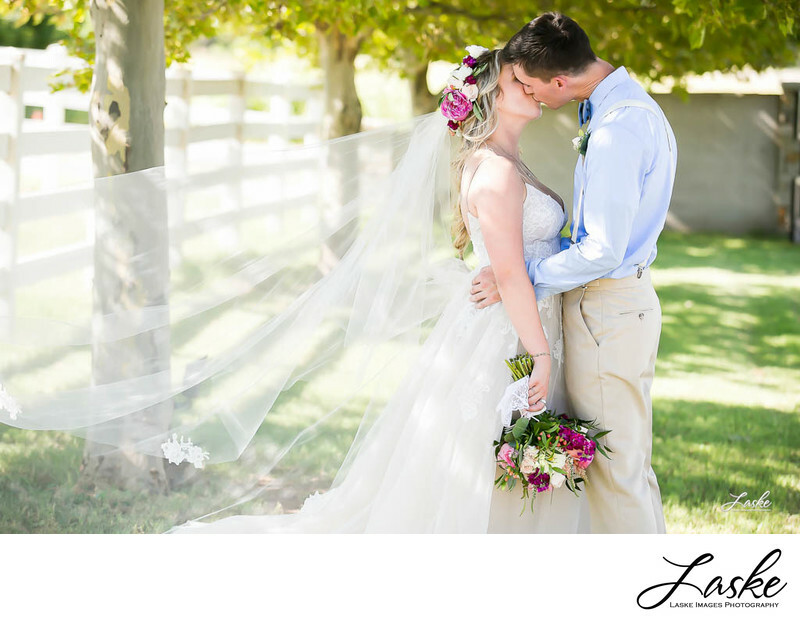 The Bride's veil blows in the wind as the Groom leans down to kiss her. Outdoor wedding. Country wedding. 1/1250; f/4.0; ISO 800; 120.0 mm.